Mugen's a buck wild warrior - violent, thoughtless and womanizing. Jin is a vagrant ronin - mysterious, traditional, well-mannered and very strong as well. These two fiercely independent warriors can't be any more different from one another, yet their paths cross when Fuu, a ditzy waitress, saves them from being executed when they are arrested after a violent swordfight. 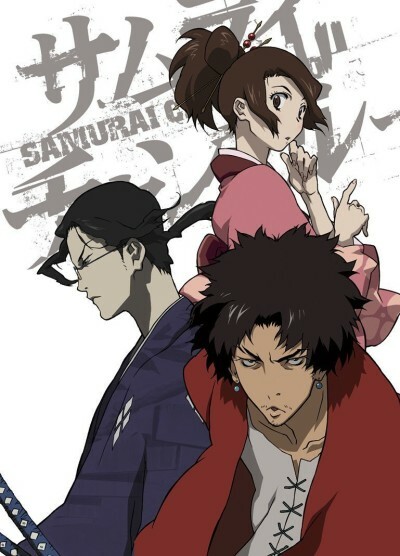 Fuu convinces the two vagrant young men to help her find a mysterious samurai "who smells of sunflowers." And their journey begins. This is a story about love, friendship and courage... NOT! It brings some hip-hop that blended one with Japanese culture.